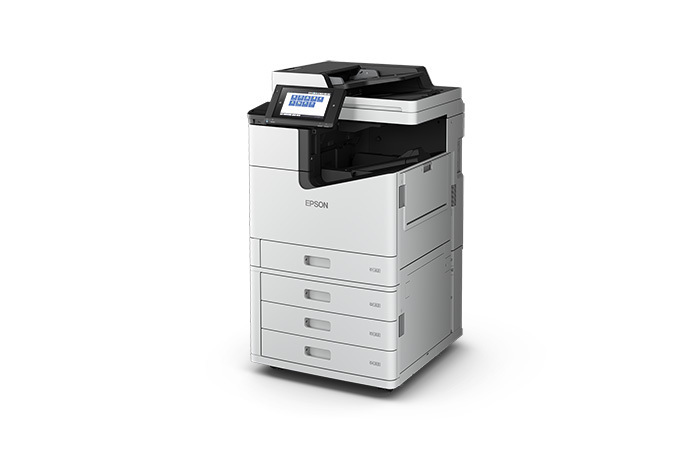 100 PPM Epson WF-C20590 A3 Color Multifunction Network Printer | Industry Analysts, Inc.
Revolutionizing business productivity, the WorkForce Enterprise WF-C20590 color MFP blazes through prints at 100 ISO ppm†, the fastest in its class1. Powered by PrecisionCore® Line Head Technology, this flagship network performer not only delivers breakthrough speed, but brilliant-quality output. A powerful but efficient workhorse, it utilizes up to 50 percent less power than color lasers1 and keeps operating costs in check. And, it supports convenient print management solutions. Print from mobile devices2 or scan to the cloud3 via a user-friendly touchscreen. Featuring a 5,350-page maximum paper capacity4and dual-head scanner, this high-performance inkjet has everything large workgroups need, with none of the hassle. Click here for specs and more! This entry was posted in Epson and tagged 100 PPM, a3, C20590, Epson, inkjet, MFP, MULTIFUNCTION by IA Staff. Bookmark the permalink.